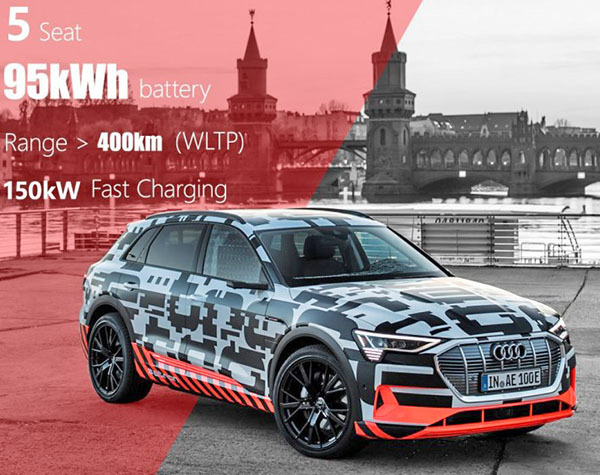 Audi just released more info on the upcoming E-Tron Electric SUV. They will start production at the end of the summer. This camera system is, as far as I know, not approved in the US yet. So this might only be offered on the Euro model for a while. I have to say, as far as competing with the Tesla Model X, this looks really boring. I can't really imagine anyone interested in a Tesla considering this at all. At the price they will be asking for this I would rather get a Jaguar iPace. Yeah, if I wanted a "green" car, I wouldn't even consider a VW/Audi/Porsche vehicle. They really screwed the pooch with diesel gate. Tesla is the only brand fully committed to EVs. Everyone else is just dabbling, hoping not to rattle the cages of big oil.